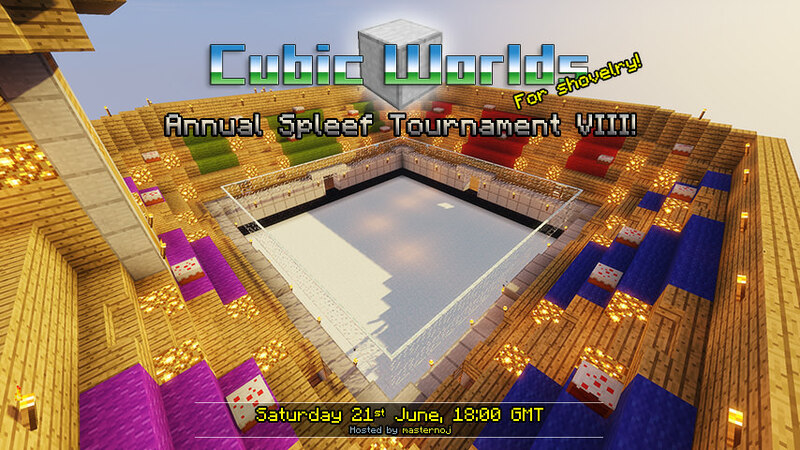 Home Cubic Worlds Weekend Event 21/07 – Annual Spleef Tournament VIII! The rallying horn has sounded to gather knights from far and wide across the land of Tesseract! Put your honour on the line in the most noble and ancient of all man-to-man combat in Minecraft – ready your shovels and prepare to SPLEEF! Be sure to visit the tournament’s forum thread to sign up and get all the details, including a link to the Plug.dj community for some kickin’ tunes during the event.